A vile creature made from multiple Goblin heads and various other body parts. The resulting monstrosity is utterly mindless, but able to follow instructions provided they are specific enough. 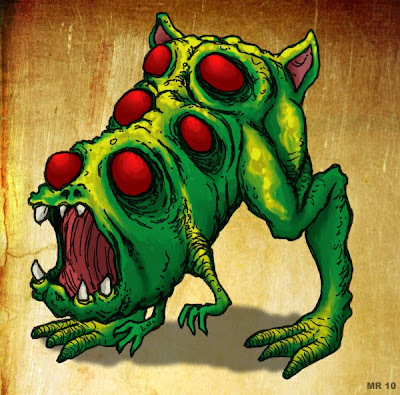 Such creatures are usually utilized for specific missions, such as guarding treasures or assassinations.